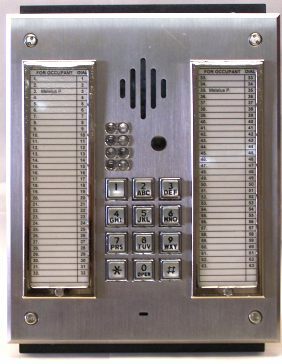 A simple entrance buzzer like this allows tenants to let guests into the building without going downstairs. We’ve all seen them in movies or TV shows set in New York: a visitor pushes a button at the building’s entrance and the tenant is notified in their apartment, where they can buzz their guest inside if they like. After all, who wants to traipse up and down a couple of flights of stairs to let in a visitor? No one! It is little things like this that can make huge differences in the quality of an urban dweller’s life.